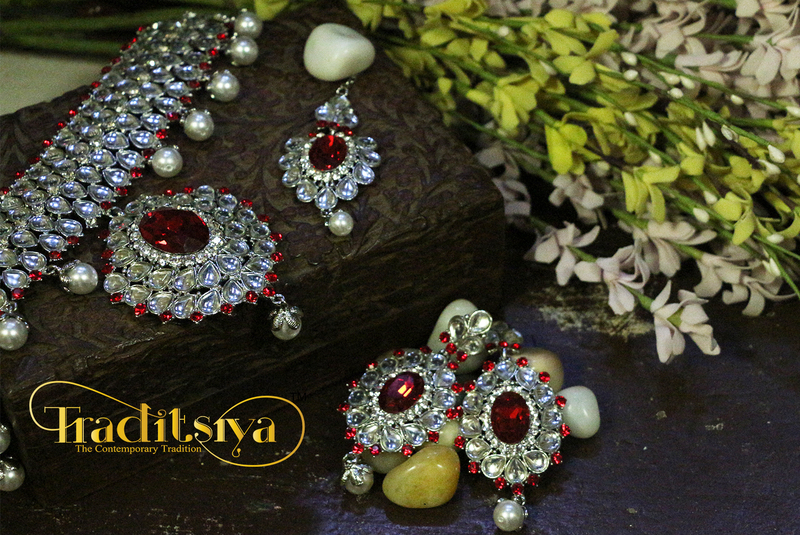 Indians have been using jewellery for embellishment since centuries. The significance of jewellery in the country is palpable from the fact that on many auspicious occasions, jewellery forms a part of gifts. 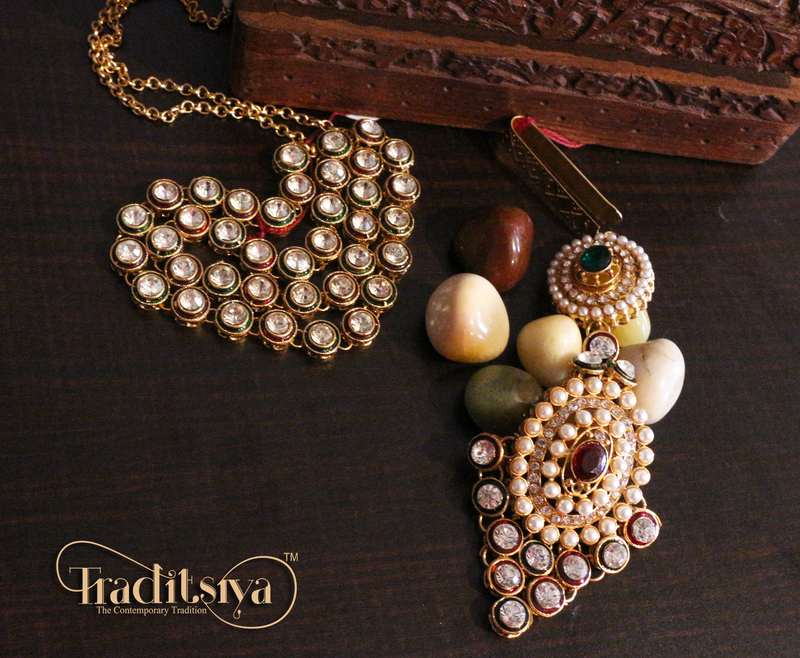 Kundan is one of the oldest forms of jewellery making originated and practiced in India. 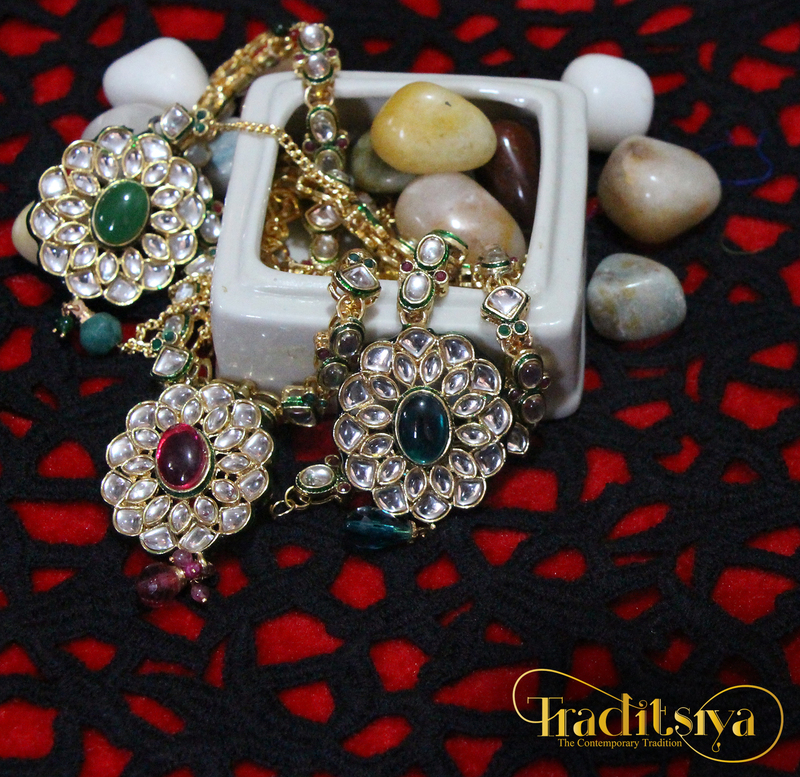 Historically speaking, the tradition of Kundan work has been in practice in the states of Rajasthan and Gujarat since the Mughal era. Today, it is known world over and Rajasthan is considered to be the centre for the best kundankari workmanship.The technique started as a result of artisans trying to place uncut stones in the jewellery. Kundan work is method of gem setting. A fine hand beaten sheet of pure gold was hammered together in form of cups or holders to hold the uncut stones. Each ‘cup’ was filled with natural glue called ‘lac‘. The stone was then ‘pressed’ in the lac and the edges of the cup were gently pressed to secure the stone in place. Once the lac dried up, it would harden thus holding the stone in place. 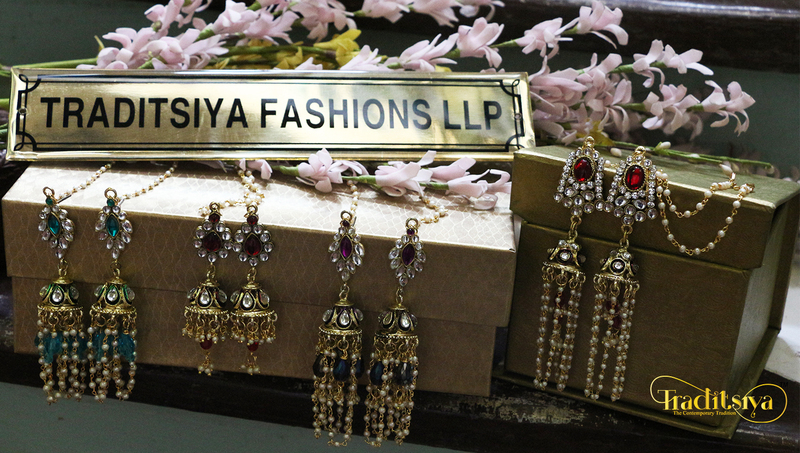 Traditsiya’s faux kundan collection ranges from elaborate Kundan Necklace Sets and Earrings to ornamental Maang Tikka , waistbelts and Keychains are magnificent and opulent. 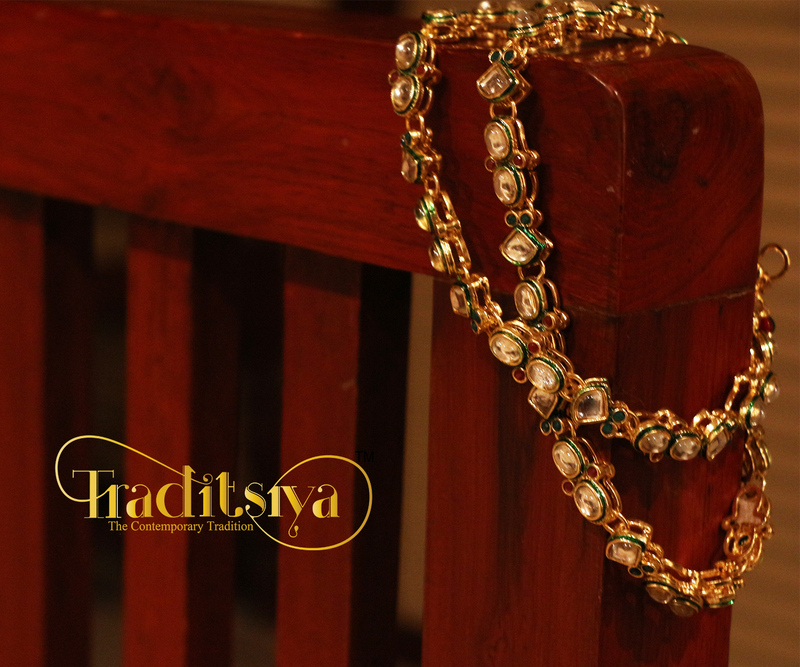 We bring you the elegant traditional Kundan at an affordable price. 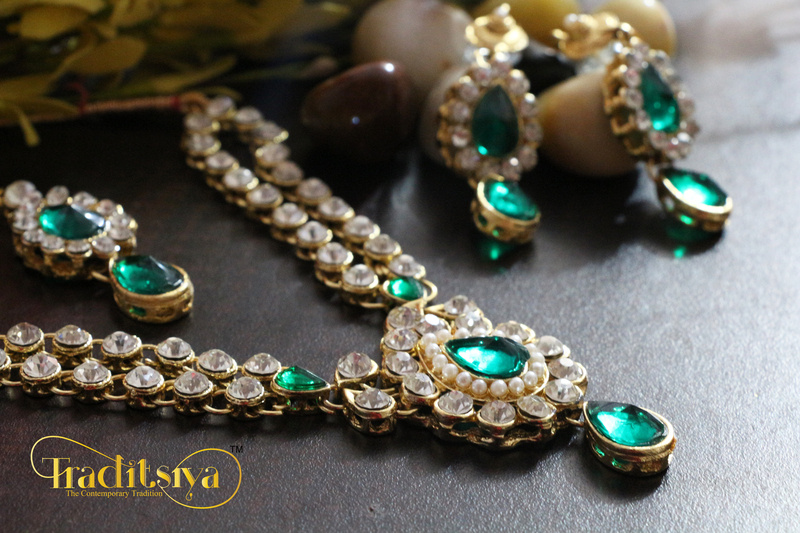 With Kundan jewellery, even the smallest piece is elaborate.